It has been about 3 months now that I am technically “homeless” and living in hotels. There are so many things I want to write about this process. Like the fact that I expected to love it and in reality I really don’t like moving. You definitely learn so much about yourself in the process of downsizing to the point of living in hotels. But today I will keep it simple and positive, it is all about the reasons I love living in hotels. 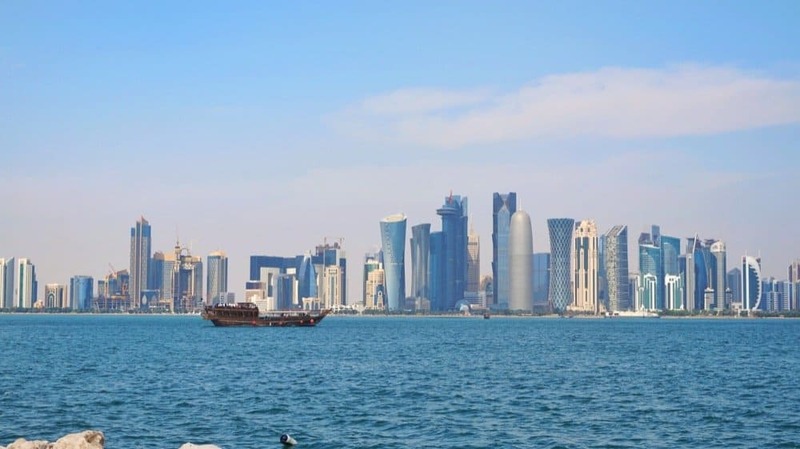 I mentioned before that Doha is very expensive for renting and it does work out better to live in hotels especially for a couple not looking for a massive apartment. In some occasions, it might not work cheaper by much but it will work about the same, without the hassle of dealing with the below options. This is like my biggest happy moment. We earn miles for the rent by using our credit card to pay for it. Since if we were in an apartment we would have to give post-dated checks and the money will be taken from our bank account so this is so much better. We can earn a decent amount of miles by doing this. Bills are included and I am loving it. We don’t have to worry to pay them and they are included in the rent which is great. If we were living in a regular apartment block it would be pretty basic or it would have a community pool for a large number of villas etc. This way we have a nice regularly maintained pool as well as a ladies only gym! Yay, going to the gym more often now. Saves on gym membership too. Right, not to say I don’t like cleaning the house, but really it is not my number one choice. So having housekeeping it’s great. I don’t have to worry about laundry or the bed linen or even changing them. When we moved many people were saying that some of the apartment buildings are not well maintained or they will take months. Seriously in my friends flat, it took them 3 months to change the lightbulb. Coincidentally I had the same issue and the hotel’s maintenance people came within a few hours. This is definitely worth the price you pay. Hotels usually respond faster and fix things fast which are great. I just came back from the UK and If you follow me on social media, you know I have been packing our house. I hate packing and moving. We also sold our furniture and most of our belongings went into the charity store. Now in Doha, I don’t have to worry about buying new furniture but rather stay in the hotel which is obviously fully furnished. Saves you money and hassle. One of my requirements, when we were looking to relocate, was that I have a nice sea view room. I have to say living in hotels does provide that as well as a nice area to walk, spend most of your time and enjoy Doha. If we were to be renting a house in a similar area it would have cost us either similar or more and the hassle would not be worth it. We live in one room essentially but what this has done is to bring us closer and makes us more active. We won’t spend the time after coming from work sitting on the sofa watching TV but rather we will go out for a meal and walk. We do quite a lot of walking here, not sure how we will manage during the summer but we will see. So far I have enjoyed living in hotels, however, we decided not to move as often since I just moved a whole house in the UK and I am in no need to make the monthly move. I really thought I would love the variety and all the options and I do but I prefer to take it slow. I discovered that what I thought was my dream goal of moving every month is actually kind of a nightmare in reality. But loving the hotel living part of this journey and it’s definitely an experience. OMG! Finally found something that’s been in my mind for the last few weeks. Moved recently from the US to Dubai (with no furniture). In temporary housing for a few months, and then I have an option to sign a furnished rental for a year or hotel apartments or then just a hotel. (I’m also with Marriott Platinum and Hilton Diamond, with their credit cards and both have a large footprint in Dubai).